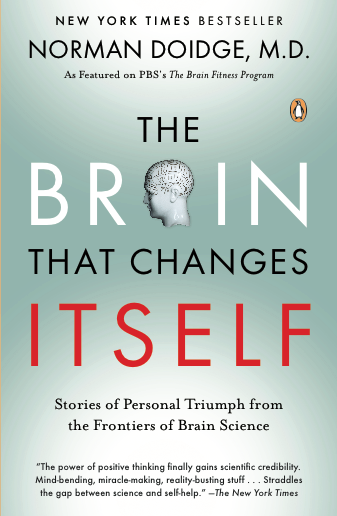 Ever since reading Norman Doidge’s book The Brain that Changes Itself: Stories of Personal Triumph From the Frontiers of Brain Science, I’ve been fascinated by the science of neuroplasticity and the truth that our thoughts and choices actually change the physical structure of our brain. I’ve been applying this science to my own life in developing skills I once thought inaccessible to me, in addition to working to overcome unhealthy mental habits. William James admitted he didn’t know how this could be done, but believed that if it were possible to give children practical directions on how to develop the faculty of drawing back a wandering attention, that this would be at the very root of judgment, character, and will. Maybe the science of neuroplasticity offers a solution to James’ predicament of how to develop this faculty in children. I say that because right now I’m working with a number of universities to develop materials they can use in Masters courses for the continuing education of teachers. Throughout this work, it’s been fascinating for me to come across materials which suggest that offering age-appropriate instruction on neuroplasticity to kids can actually become a basis for helping students increase their capacity for present-moment attentiveness. In the video below, actress Goldie Hawn explains how giving children instruction on the brain, including sharing how they can control their flexible brains through the choices they make, can be empowering to students to better control their brains, and through better controlling their brains, also to better manage their emotions. This entry was posted in Mindfulness, Neuroplasticity, Neuroscience, The Brain by Robin Phillips. Bookmark the permalink.